Row of beehives on the pasture, apiary, Bee farm Wooden colorful beehives in a row are placed on a meadow. hd00:21Row of beehives on the pasture, apiary, Bee farm Wooden colorful beehives in a row are placed on a meadow. 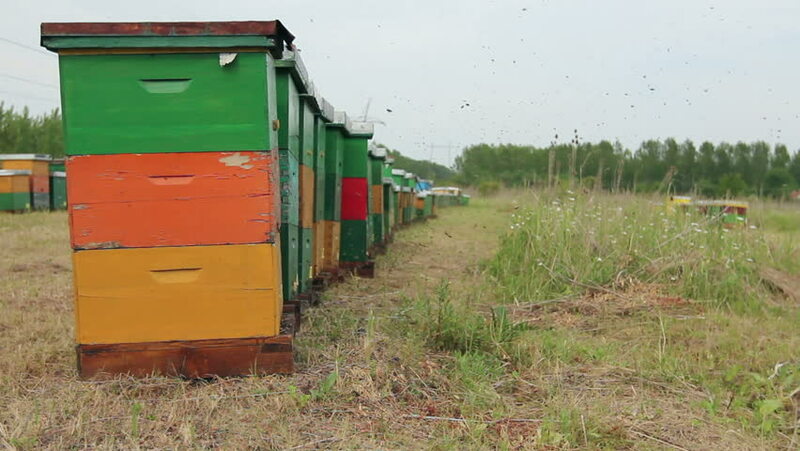 hd00:29Row of beehives on the pasture, apiary, Bee farm Wooden colorful beehives in a row are placed on a meadow. 4k00:36Aerial view of a Large green Cotton picker working in a field. 4k00:13Making haystack straw bale. Moving haystack wheel.